Parents need to worry about baby bottle tooth decay. Giving an infant sugary drinks before naptime or at nighttime is harmful because during sleep, the flow of saliva decreases, allowing the sugary liquids to linger on the child’s teeth for an extended period of time. If left untreated, pain and infection can result. Severely decayed teeth may need to be extracted. If teeth are infected or lost too early due to baby bottle tooth decay, your child may develop poor eating habits, speech problems, crooked teeth and damaged adult teeth. Healthy baby teeth will usually result in healthy permanent teeth. 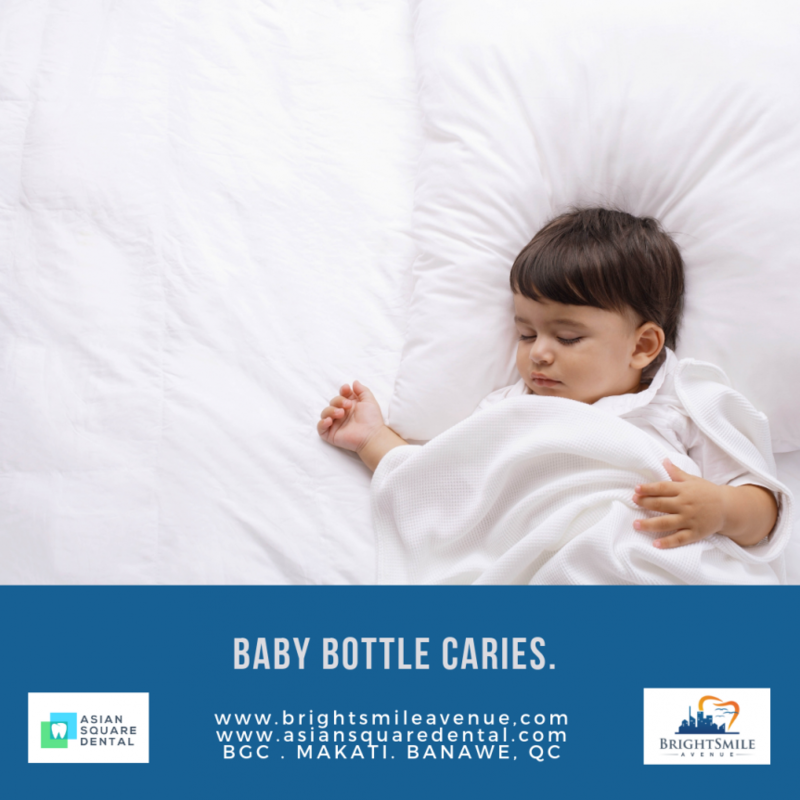 Baby bottle tooth decay is caused by the frequent and long-term exposure of a child’s teeth to liquids containing sugars. Among these liquids are milk, formula, fruit juice, sodas and other sweetened drinks. The sugars in these liquids pool around the infant’s teeth and gums, feeding the bacteria that cause plaque. Every time a child consumes sugary liquids, acid attacks the teeth and gums. After numerous attacks, tooth decay can begin. Visit your dentist at BrightSmile Avenue soon! Call 6212556 to book an appointment.